Assistant Attorney General for National Security John C. Demers, Acting U.S. Attorney Alex G. Tse for the Northern District of California, and Special Agent in Charge John F. Bennett of the FBI’s San Francisco Field Office made the announcement. The sentence was handed down today by U.S. District Judge the Honorable Vince Chhabria. The Indictment is available here, and its allegations are summarized in greater detail in the press release that attended the unsealing of the Indictment on March 15, 2017. Baratov has been detained since his arrest in Canada in March 2017. Baratov waived extradition to the United States and was transferred to the Northern District of California in August 2017. In November 2017, Baratov pleaded guilty to Count One and Counts Forty through Forty-Seven of the Indictment. Count One charged Baratov, Dokuchaev, Sushchin and Belan with conspiring to violate the Computer Fraud and Abuse Act by stealing information from protected computers and causing damage to protected computers. Counts Forty through Forty-Seven charged Baratov and Dokuchaev with aggravated identity theft. 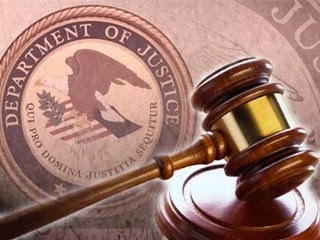 As part of his plea agreement, Baratov not only admitted to agreeing and attempting to hack at least 80 webmail accounts on behalf of one of his FSB co-conspirators, but also to hacking more than 11,000 webmail accounts in total from in or around 2010 until his March 2017 arrest by Canadian authorities. In addition to any prison sentence, Baratov agreed to pay restitution to his victims, and to pay a fine up to $2,250,000, at $250,000 per count, with any assets he has remaining after satisfying a restitution award. The FBI, led by the San Francisco Field Office, conducted the investigation that resulted in the charges in the Indictment. The case is being prosecuted by the U.S. Attorney’s Office for the Northern District of California and the U.S. Department of Justice National Security Division’s Counterintelligence and Export Control Section, with support from the Justice Department’s Office of International Affairs.